Mine: For the target audience, pre-schoolers, this is great. Broad physical humor, some kind of fun music, and nothing objectionable. Nothing to really appeal to adults. Still expected it to be worse. 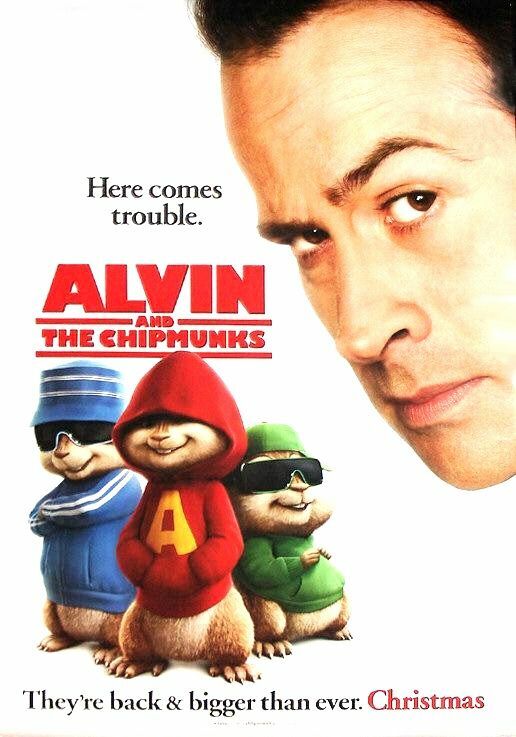 Leonard Maltin/Plot synopsis: A struggling songwriter named Dave Seville finds success when he comes across a trio of singing chipmunks: mischievous leader Alvin, brainy Simon, and chubby, impressionable Theodore.